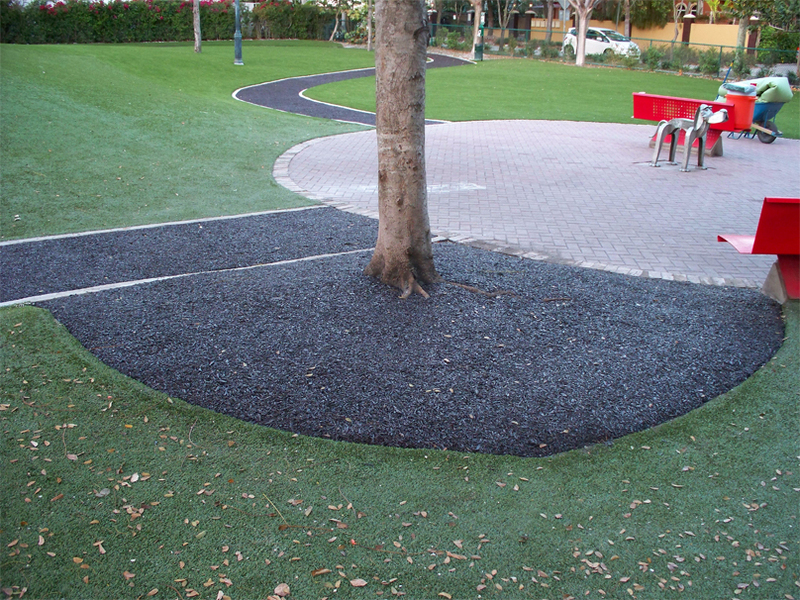 Play It bonded rubber surfaces offer the perfect accent to any natural or synthetic landscape. Play It bonded rubber mulch stays in place with its unique binder, so your mulch areas and tree wells stay perfect, all-year round, without all the maintenance. 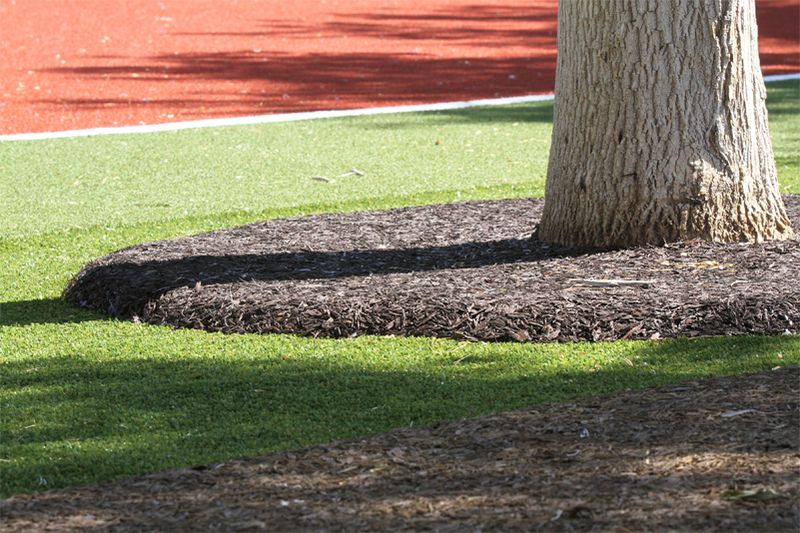 Play It Bonded Rubber Mulch is a single layer of organically pigmented recycled SBR rubber mulch. It's mixed with a liquid binder and troweled out on-site to create a clean, permanent mulch surface.